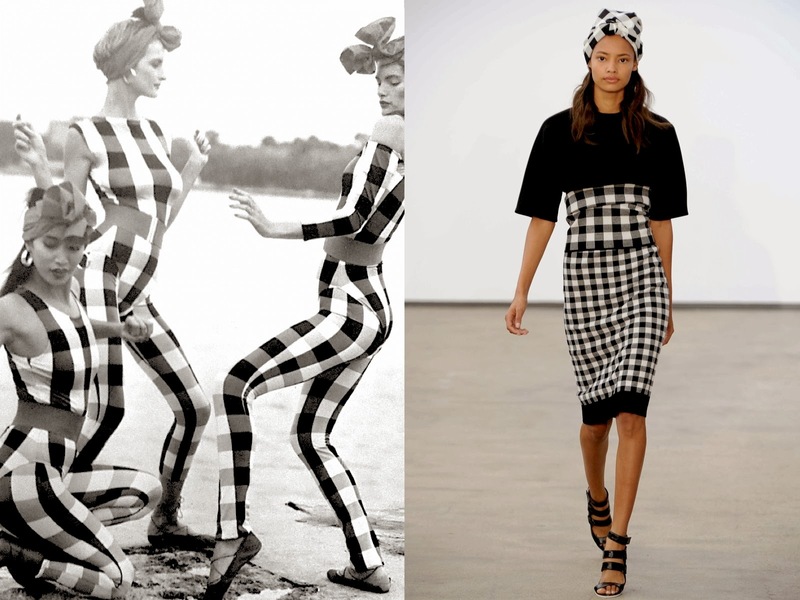 Another geometric pattern based on a square shape is the Vichy pattern, that can be seen as a summer tartan, and that has appeared in various versions on the SS||2014 catwalks... like in this playful black and white Derek Lam outfit with a sleek vs. African twist [right]. This look recalled a very cool styling and pattern vibe I have seen in a photo shoot of Norma Kamali's SS||1983 collection [right]. This is the type of inspiration I consider a real inspiration, the one that takes the essence of a researched image and turns it into something new and fairly different.